Hello world, hello Mango 1.0! 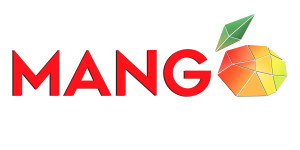 Today we’re pleased to announce the release of Mango 1.0. Our software focuses on turning complex data networks into readable and usable visualizations. Click here to check out the latest version of Mango! We look forward to bringing new and innovative features to Mango every month, see keep an eye out on our blog section for updates. Initially started by a professor and doctoral candidate, Mango was originally conceived to solve complex biological problems. Since our inception, Mango has evolved to support more than biological networks. Our goal as a business and with Mango is to be the ultimate solution for big data analysis. Mango looks to bring users a simple and elegant solution for turning complex, unreadable big data networks into user friendly visualizations. Currently we’re working with DARPA on a project that has three main objectives: optimally layout any complex graphs to cellular automata space, to develop graph computation solutions on cellular automata, and to implement these solutions on many-core hardware. As always, to find the newest version of Mango, click here.